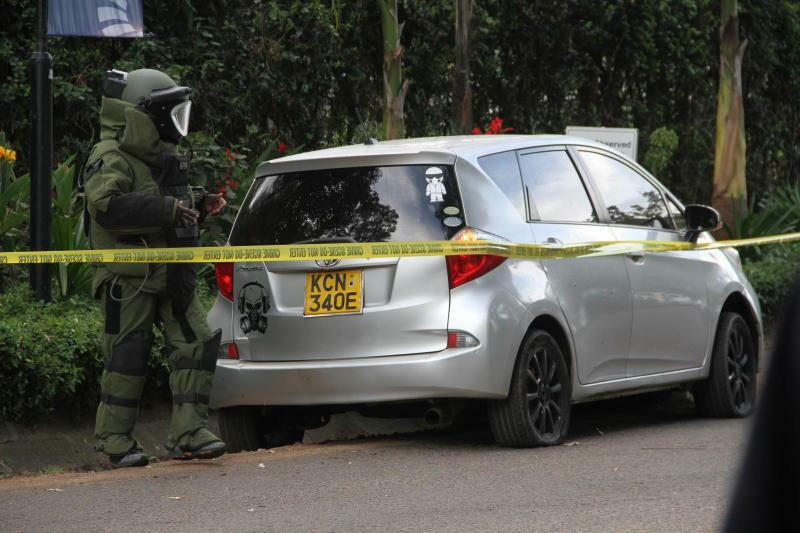 Confusion as the similar car with the same registration number found elsewhere after terrorist attack at the 14 Riverside drive, Nairobi, Kenya. The first car (Toyota Ractis registration number KCN 340 E) was held at scene of crime on Tuesday, January 15 shortly after the attack. And had a bomb onboard which experts detonated. Another similar car of Toyota Ractis with registration number KCN 340 E was found in Kitengela, having the same plates but different colour. There is a tendency that the DusitD2 attackers clowned the registration number before using the first vehicle. Leaving confusion at the early stages of investigations, which evolved at DusitD2 complex a few hours after police arrested two suspects in Ruaka and Eastleigh. This came to limelight after detectives following up the matter traced an identical vehicle bearing same registration number. Meanwhile the first car was abandoned by the attackers outside the scene of crime. According to photos, the detectives found a light blue Toyota Ractis with registration number KCN 340E in Kitengela during their probe. This registration number is identical to that of a silver Toyota Ractis used by the slain attackers when they stormed DusitD2 hotel on Tuesday. The cars are of the same model and make (Toyota Ractis) and have similar registration number plates. The difference on the vehicles are; the one used at 14 Riverside Drive was silver in colour and also have a painting of skull and bones on its rear left side, while the other one found in Kitengela was light blue in colour and had no graffiti. 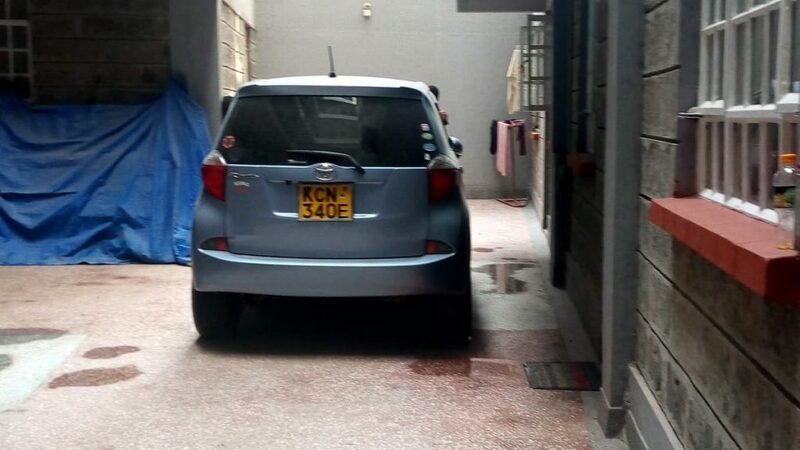 The light blue vehicle is reported to have been found parked at an apartment in Kitengela, Kajiado county. 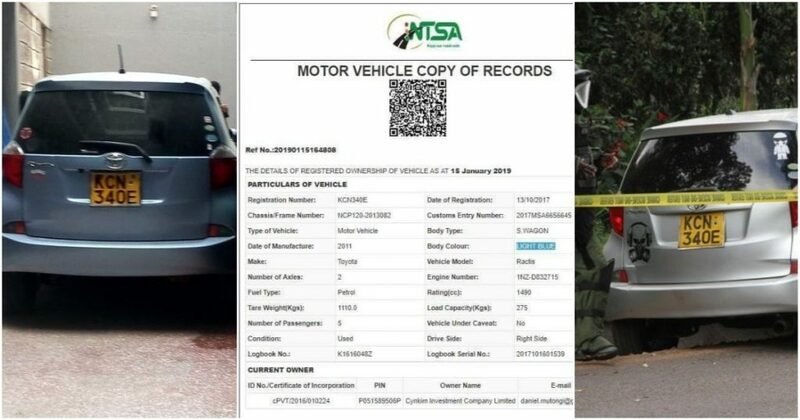 The records on National Transport and Safety Authority (NTSA) indicated that the terrorists could have fraudulently used the registration number KCN 340 E on their silver car left at the scene of crime.